Our Triptych business card design template features a minimalist front and tri-photo back, making it perfect for retail companies that want to showcase their products, service-based companies that want to highlight their major service offerings, and any other company that wants to harness the power of three in design to give their image a boost. 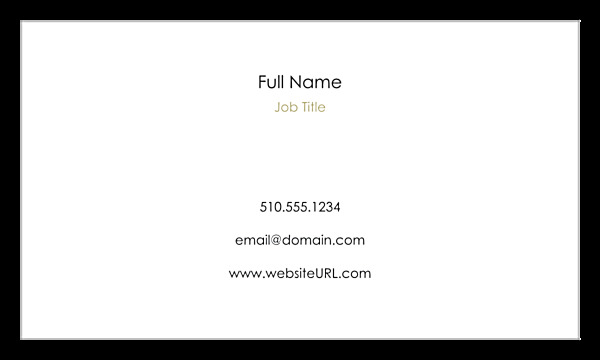 The front’s minimalist design features your name, title, and contact information in a simple font on a white background. 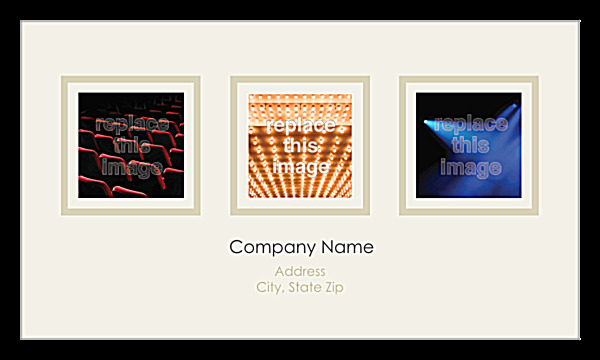 On the back, three editable images are aligned at the top, with your company name and address underneath. Choose between vertical and horizontal layouts plus your choice between four different color schemes; then customize Triptych with your own information and photos with our easy-to-use design tool! Our online design tool makes it easy to personalize professionally-designed business card templates such as Triptych in no time! Simply pick your template, layout, and color scheme, then let the tool guide you through customizing your name, company name, and contact information. Replace or add your own text or photos – any way you’d like! When you’re done, you can even download a free PDF to share with your team before printing your custom business cards. Thousands of businesses trust PsPrint’s fast turnaround and reliability every single day. Find out why so many of the nation’s top businesses turn to PsPrint when they need professional-looking business cards printed on premium paper stocks with vivid soy-based inks (which are more vibrant than traditional petroleum-based inks). Best of all, our business card printing services are backed by our 100% customer satisfaction guarantee, so you know you can rely on PsPrint to enhance your professional image. Did you know PsPrint can add a custom, metallic foil stamp to your business cards? Or that you can print die-cut business cards in just about any shape imaginable? Our custom printing team is here to help you print the perfect business cards, no matter what you have in mind. And, if you need other print marketing tools, don’t forget we offer letterhead, envelopes, postcards, and more!